Kunsan Air Base is home to the 8th Fighter Wing - part of the Seventh Air Force. Since 1938, Kunsan Air Base was originally constructed by the Japanese prior to the United States involvement into World War II. After World War II, the United States used the base some, but in the 1950's as tensions with the Chinese and North Korea escalated into the Korean War, the base was known as a strategic military base for the South Korean military and the United States allies. Kunsan Air Base is one of two major Air Force installations operated by the United States in Korea, the other being Osan Air Base. Kunsan AB was often referred to as the last of the "warrior bases." As an unaccompanied remote tour, servicemen and women would spend a quick 12 months at the "tip of the spear," fulfilling the wing's mission, "To deliver lethal airpower when and where directed by the Air Component Commander. The MISSION: Defend the Base. Accept Follow-On Forces. Take the Fight North! Kunsan AB is located on the western side of the South Korean peninsula bordered by the yellow sea. It is approximately 150 miles south of Seoul. The base is named after Kunsan City, a port town seven and a half miles east of the installation, with population of approximately 300,000 people. Kunsan is just hours away from Naejangsan National Park, famous for the breathtaking colorful autumn leaves, skiing at Muju Ski Resort, and a short drive to many hot springs resorts located throughout the Republic of Korea. Chejudo Island is a favorite tourist spot. It is only an hour flying from Kunsan. Located just 200 miles south of Kunsan in the Namhae (South Sea) it is often referred to as the "Hawaii of Korea". Many interesting sites, to include temples and historical landmarks are within an easy driving distance. 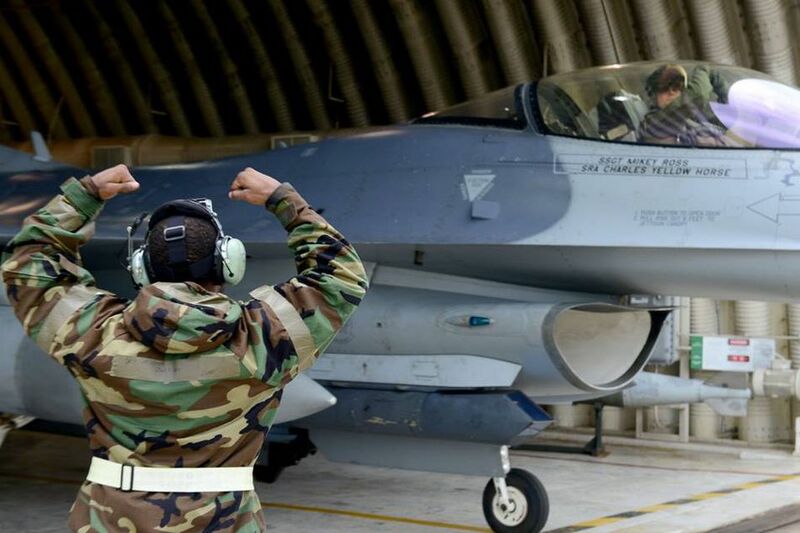 Kunsan AB is home to the 8th Fighter Wing made up of two F-16 fighter squadrons, the 35th Fighter Squadron and the 80th Fighter Squadron. The Seaside Inn at Kunsan AB currently has an 87 room, 135 bed space lodging operation. A second lodging facility, the Wolf Pack Lodge consists of 192 private rooms/baths and 8 business suites. There are no temporary lodging facilities (TLFs) at the Seaside Inn or in the Wolf Pack Lodge. This is a family member restricted, non-command sponsored, remote assignment. There are no on-base housing facilities for families at Kunsan AB. All housing is for single service members in dormitory style billets, size and facility requirements vary by rank. E-4 and below have roommates in some dormitories and the restrictions are listed in the Wolf Pack community standards your sponsor should have sent to you. No active duty personnel are authorized to live off the installation. Sponsors can make a request for dormitory rooms prior to arrival but mostly newcomers will receive room assignments once they in-process. Two new 8 story quad dormitories have been built and an additional unit is being built for 2009-2010. Each quad dormitory has 384 rooms and the new construction of the 528 room dormitory is scheduled for completion in 2010 with another new 192 room dormitory scheduled for completion in 2011. Kunsan AB is a non-command sponsored assignment. No military family members are authorized travel to Kunsan. Married civilians or those who have family members and authorized LQA can live anywhere except the 3 mile radius limitation from the parameter fence of Kunsan AB. All the local schools are for Korean nationals at Kunsan AB. There are no DoD Schools in the local area. The closest DoDs schools are located in Osan and Daegu approximately 2 ½ hours drive from Kunsan AB. Since Kunsan AB is a remote assignment, family members are not authorized command sponsored status and no educational facilities for family members exist at this assignment. For civilian personnel bringing family members most will enroll their children in either a private Christian school or provide home schooling to their children. Kunsan AB is a truly remote assignment. However, there is a local education office to assist military personnel in obtaining their educational needs. The local Education Flight does coordinate lower level (first two years) college courses through the University of Maryland University College (UMUC) and Texas Central College. Additionally, the Education flight assist personnel with registration for the Community College of the Air Force associate degree programs and several online universities. There is no Child Care Programs available on Kunsan Air Base. Some active duty members, due to their respective family situations, may bring their dependents with them. This is often done at their own expense or through a few special programs offered to Korean nationals married to American personnel. In either case, all dependents are authorized care at our facility and may enroll in TRICARE Prime. Since services available here at the 8th Medical group are limited, we may not have the particular specialty (Internal Medicine, Orhopedics, OB/GYN, etc.) that your dependents may require. In those instances we may medically refer them to the 51st Medical Group at Osan AB or 121 General Hospital in Seoul. If your dependents receive care in a local Korean medical facility or doctor's office, you must pay for their care up front. Reimbursement will depend on their TRICARE status.